Detectives Rachel Getty and Esa Khattak are confused when they are called in to investigate the death of Christopher Drayton, who fell from the cliffs beside his lavish home. As officers in a department that handles minority-sensitive cases, the reason for their presence only becomes clear when evidence surfaces that Drayton may actually be Dražen Krstić, a notorious war criminal with violent ties to the 1995 Srebrenica massacre. Thoroughly researched and written with page-turning suspense, The Unquiet Dead is both a compelling mystery and testimony of humanity's capacity for immense evil. "And into the remnants of Khattak's prayer intruded a series of recollections from his youth. Of news reports, hurriedly organized meetings and volunteer drives, followed too slowly by action. He saw himself as a young man joining others in a circle around the flame at Parliament Hill. He absorbed the thick, despairing heat of that summer into his skin. His dark hair flattened against his head; he felt in that moment his own impotence." 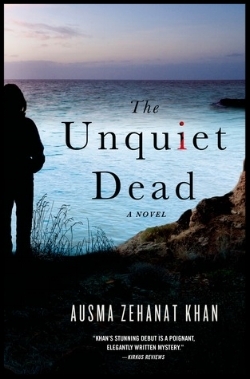 Ausma Zehanat Khan is the author of several mystery novels, including The Unquiet Dead, The Language of Secrets, A Death in Sarajevo, and A Dangerous Crossing. She holds a PhD in international human rights law and has practiced in Toronto and taught at Northwestern University. She currently lives in Colorado.